After completing her L.L.B. from the University of Victoria and then clerking with the Supreme Court of British Columbia, Emily was called to the Bar of British Columbia in 2009. 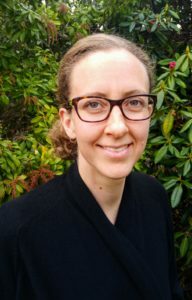 Prior to working with Arbutus Law Group LLP, Emily practiced primarily in the area of local government law on a wide range of legal issues, including corporate and commercial matters, rights of way, permits and easements, expropriation, leasing, land development, bylaw drafting and review, and various issues relating to land and water. Since 2015, Emily has worked with Arbutus Law Group LLP on a variety of legal matters for Aboriginal clients, including lands issues such as leases, permits and land use concerns, self-government matters, policy development, and law and by-law development and review. When not at work, Emily enjoys spending time with her family and bike riding.